Area Range : 927 to 1332 sq.ft. 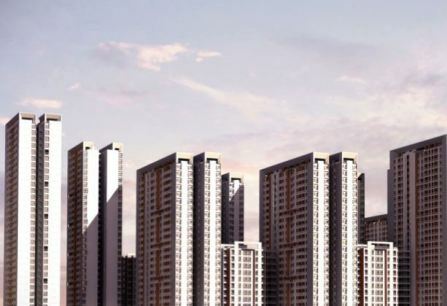 Welcome to the essence of higher living, embodied in a modern, integrated township that is a celebration of life itself. Amantra is designed to leave you on a high and keep you there. 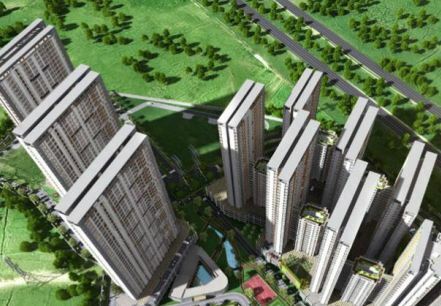 A master plan incorporating an interesting Interplay of mid and high rise towers that weave in the elements of nature-pre-certified green buildings that will have cool air Funneled into homes. All in all, it is an invitation to higher living. 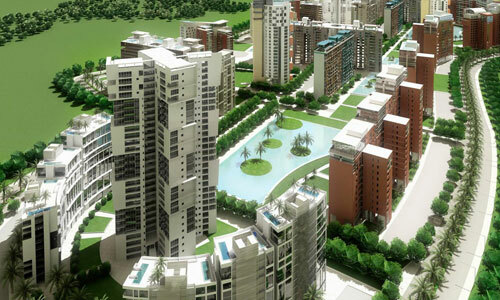 Established in 1984, Tata Housing is closely held public limited company and a subsidiary of TATA Sons Limited. TATA Sons Limited holds 99.78% of equity share capital of the company. Since its revival in late 2006, Tata Housing has evolved into one of the fastest growing real estate development companies in India. With the primary business being the development of properties in residential, commercial and retail sectors, the company's operation span across various aspects of real estate development, such as Land Identification and Acquisiting, Project Planning, Designing, Marketing & Sales, Project Execution, Property Services and Estate Management.